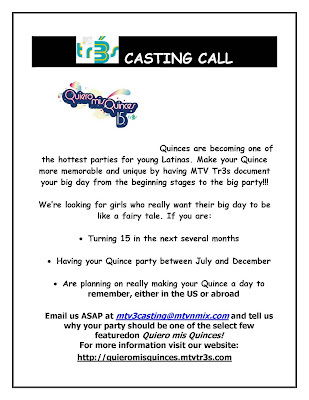 MTV wants to feature your quinceanera. 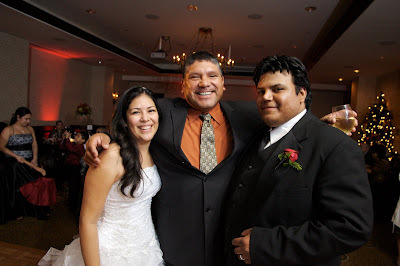 I remember my own quinceanera…oops…about 22 years ago – ouch! Read the flyer below and please call or email if you have questions about the type of event they want to feature. Why is cousin Joe so happy? Because he won the wedding raffle. What is that – you ask? It’s this thing. We had 100 raffle tickets custom made similar to these above. We had 100 printed and they sold for $10 per ticket. So we raised $1000 for the bride and groom that evening. The prize was tailored for our family demographic – oh, yeah, did I mention this was for my baby brother’s wedding this past November – back to the demographic: drinkers. I wish I could claim credit for the idea, but it was my sister Christie. I was the one that provided all the liqeur, the favorites of the demographic. Crown Royal, Jack Daniels, Skky Vodka, Jose Cuervo Gold and the great standby Parrot Bay Coconut Rum. These were no regular size bottles. In the event a more sophisticated palette won, I threw in a few bottles of wine, champagne and truffles. Before the raffle drawing, Cousin Joe and Uncle Jimmy were saying that if they won the basket, they would auction it off and get Michael and April more money. So, Joe, man of his word did just that. 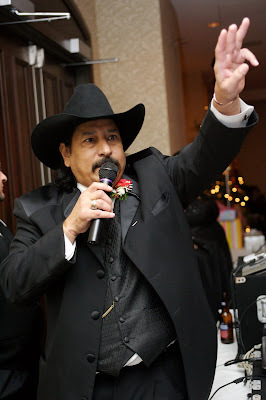 Now throw in Uncle Danny as the auctioneer. He starts the bidding at $300. Uncle Danny has had few and sometimes hears bids that really weren’t there, but they didn’t mind. 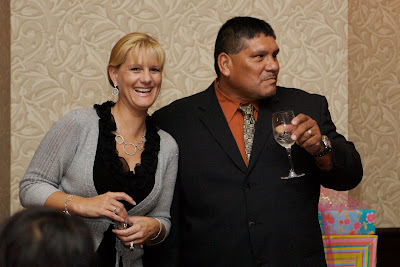 There is cousin Joe, with wife Abbie, staring down Uncle Jorge who has ran the bid up to over $1000. 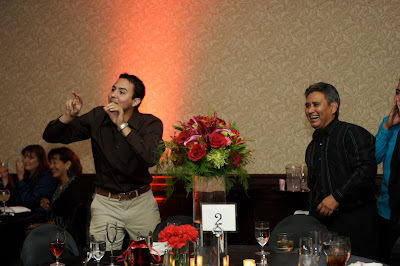 There is my cousin Jorge, Jr., egging on Cousin Joe as Uncle Jorge (on the right) has the high bid at $1000. Here are Michael and April in shock as Cousin Joe bids again and gets the basket for $1300. 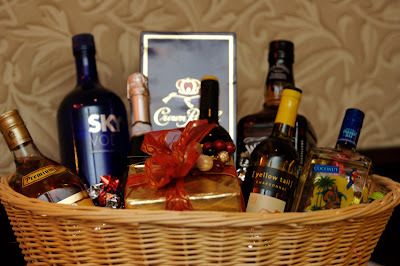 Wow, that’s $2300 on a basket of booze. Like I said, know your target demographic. Here is the check hand off. Woo Hoo! 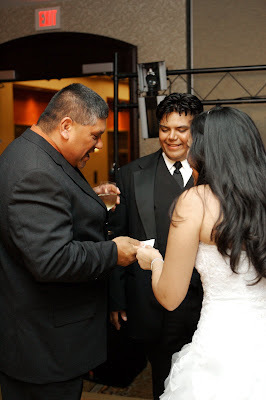 Here is Joe, telling his Uncle, my dear Dad, that he would have gone higher because he wasn’t leaving the reception without the basket. He made my father proud that evening. It was a family rivalry of sorts. 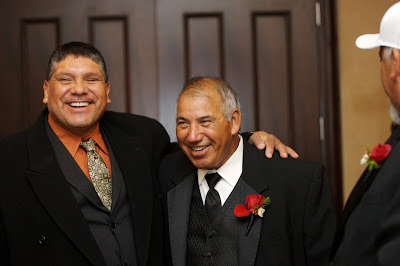 Joe is from my Dad’s side of the family, his sister’s Virginia’s son and Uncle Jorge, the doctor from New Mexico is my mother’s brother. It was fun all around. All photographs courtesy of Winfield Little. 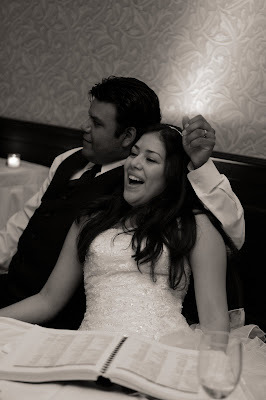 The dollar dance is a traditional feature at Mexican American weddings. 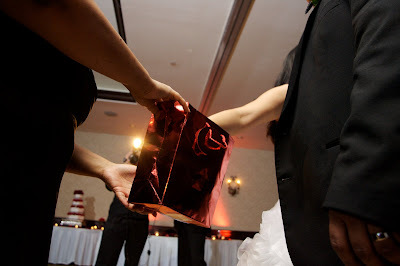 This was our way of continuing with the dollar dance tradition of gathering money for the bride and groom for their new household in an updated fashion to fit our needs. We knew the family attending would be receptive and fun. Twice a year, we have an available slot for internships. We had agreed to work with an intern for this summer, but her plans changed and she moved out of town….so we have a slot to fill. If you are interested, please forward a resume to us along with the requirements from your university’s department. For this summer, we are looking for an intern majoring in marketing or public relations. We are gearing up our Fall marketing campaign now, design ads for national publications, and working on a new website. Intern will also be required to assist with major fundraising gala. 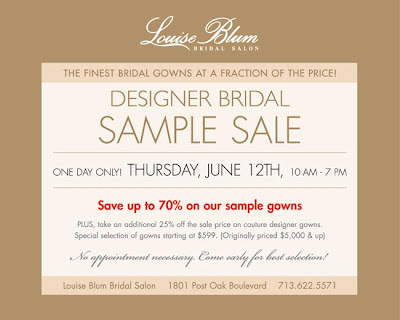 Louise Blum Bridal Salon is probably my favorite place for bridal fashion in Texas. You can find all the couture gowns you need here. They have excellent customer service and an exquisite collection. One of my favorite things besides a trunk show is the sample sale. If you are a street size six or close to it, a sample sale is a great way to get a couture gown. I know when you look at the samples, you can see the dirt. What do you think your dress will look like at the end of the evening? Have it professionally cleaned and altered and voila! brand new gown for a fraction of the price.